FREEBIE ~ Sample my NO PREP Winter Math and Literacy Packet. 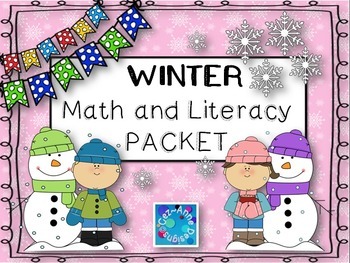 Full packet includes 38 pages of options to add to your instruction during literacy or math block or use for extra practice during morning work or homework. Packet includes acknowledgment of winter holidays (Martin Luther King Day, Groundhog Day, Valentine’s Day, and President’s Day).